Here is a series of pictures that show how I make a barrel. The description below each picture explains the process. Here is what the basic barrel blank looks like before any machine work. I start by cutting the blank to length. Then each end gets a 60 degree center cut so that all future work will be perfectly centered. 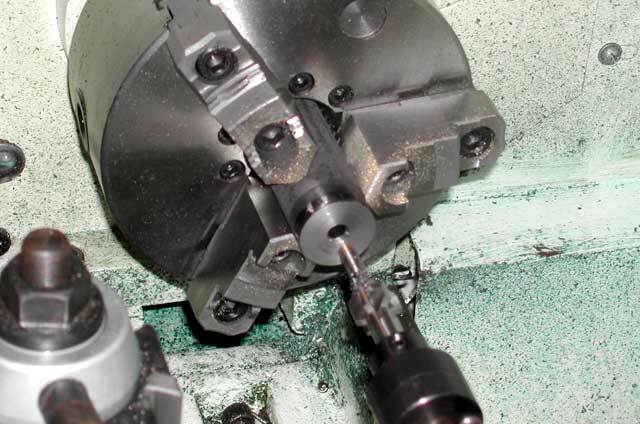 The centers are cut with a piloted cutter that uses a pilot bushing fitted to each individual barrel blank. 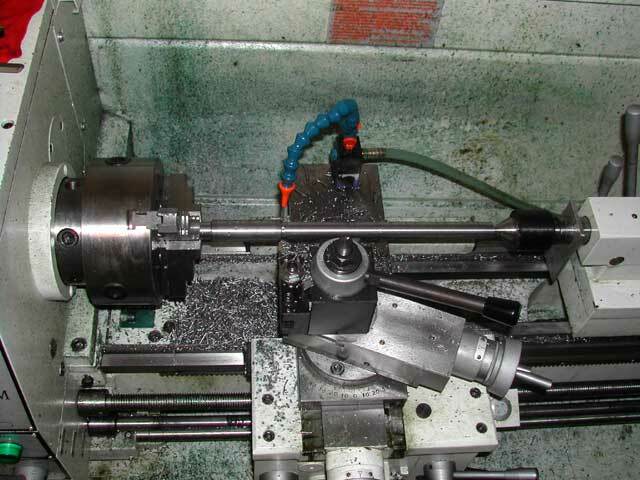 The cutter is held in a floating reamer holder so that the cutter is located by the bore. 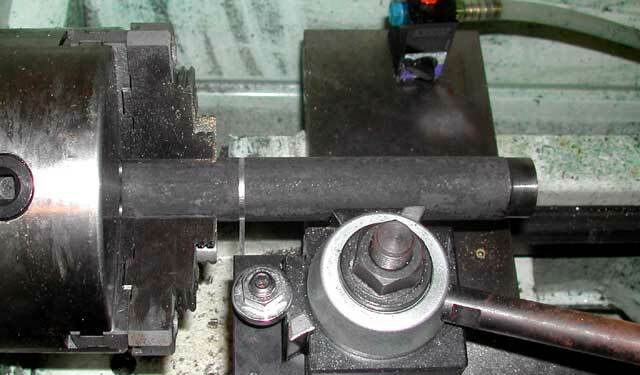 Now I turn both ends down concentric to the bore, swapping ends several times to ensure concentricity. I cut a journal in the middle of the blank where the lathe chuck will hold the blank during rough profiling. First the breech end is rough profiled. Then the muzzle end is rough profiled. Now I finish by cutting away the journal in the middle. Here is what the barrel looks like after rough profiling is done. Now I thread for the barrel extension. 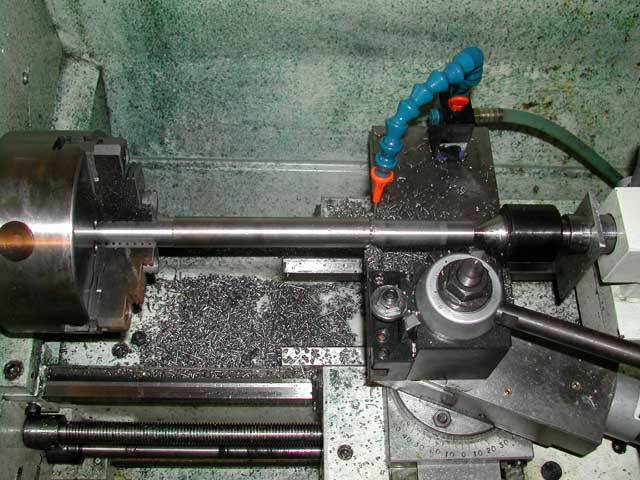 The last profiling cuts bring the barrel to it's final diameters. If the muzzle is to be threaded, it is also done now before crowning. The crown is cut using a specially ground cutter that is kept razor sharp. 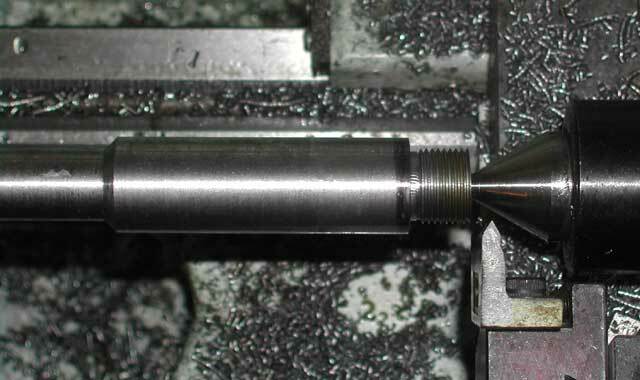 This is very important to have a burr-free crown that is perfectly perpendicular to the bore. 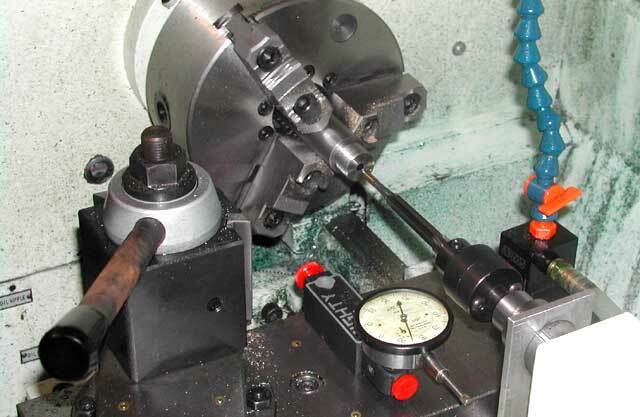 The chamber is reamed to depth using proprietary gauging equipment along the way. 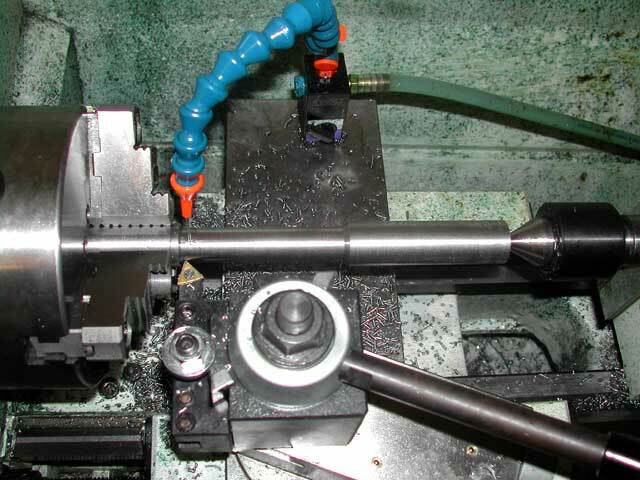 I use floating pilot reamers and fit the pilot bushings to the bore on every barrel. 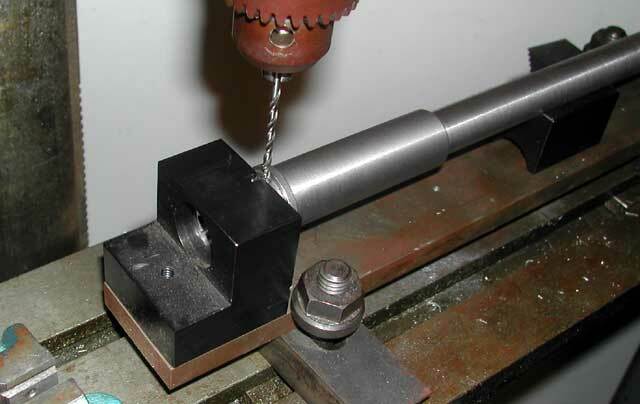 A floating reamer holder ensures that the reamer follows the bore and that the throat is centered properly in the bore. This is one of the most important factors in getting a barrel to shoot tight groups. The extension gets installed and final headspace checked. Chromoly barrels get the extension removed and get sent out for parkerizing. Stainless barrels continue through the process until finished. 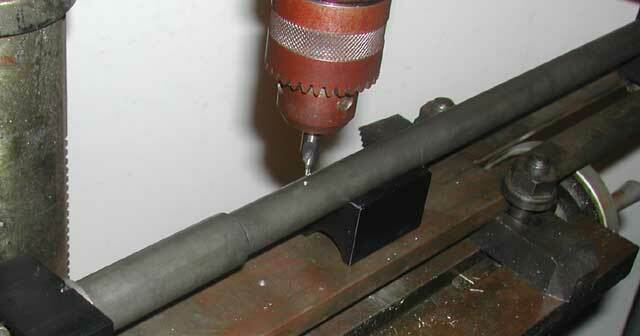 Here the pin hole is drilled into the barrel and the pin pressed into place. The extension can not be removed after this. The last step is to drill the gas port. The port gets drilled undersized, then followed up with larger drill sizes in very small steps to eliminate any burrs inside the bore. Barrels that are used with setscrew attached gas blocks get a detent drilled. This makes assembly really easy as you simply tighten the gas block's setscrew into this detent and the gas port is properly aligned.